While enjoying this Kangaroo ride one can see all the views from way up high! 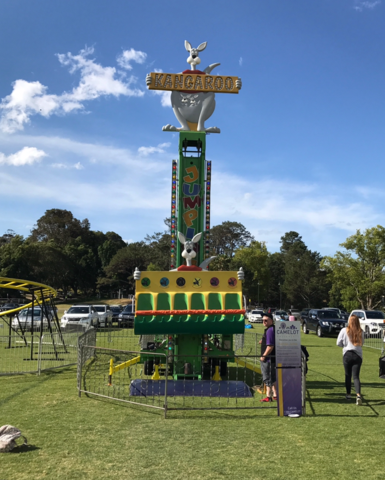 This ride will give you the experience of kangaroo jumps when it stops immediately somewhere on the top or middle. Have fun experiencing this popular ride with your family and friends at your next event. Please call 0413384764 for a price.